On this new version* of Ces Gens-Là (a song of the famous 20th century belgian singer Jacques Brel) he uses also a tape loop, but as usual everything is recorded and mixed live. The result is a gorgeous piece based on of looped vinyl crackles and melancolic piano, Jacques’ disconstructed half-spoken & shouting vocals, bathed in a sea of analog saturation. 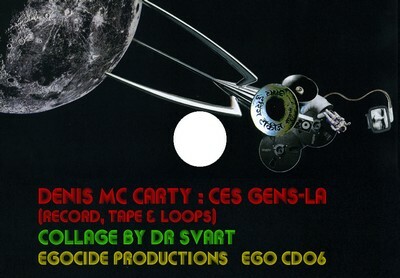 * This track is different from an earlier “ces gens-là” mix by Denis that can be heard on his virb page. This entry was posted in (no more) physical releases and tagged Denis Mc Carty. Bookmark the permalink.